In some cases, when you feel like to enter a file, a folder, or a local disk drive on Windows 10, you can only get the error that you don’t currently have the permission to access this folder or you must have read permission to view the properties of this object. Concerning the reasons for the security tab missing or file no access error, you can ascribe it to the permission limitations on Windows 10. So as for this permission error, it is suggestible for you to take ownership of Windows 10 file or folder or drive. The process is rather foolproof. You are able to finish in a few minutes. How to Fix You Must Have Read Permissions to View the Properties of This Objects Windows 10? 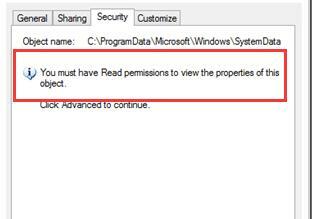 the error that you do not have permissions to view or edit this object’s permission settings or Windows 10 have no access to get into C: drive on Windows 10 is similar to you must have read permissions. That means you need to take ownership of file, folder or drive. In other words, there is much need for you to gain administrative permission for your PC. 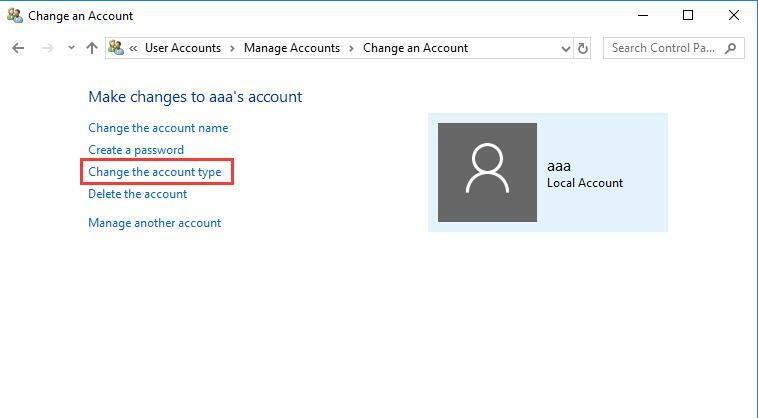 If you found you are unable to access C: on Windows 10, you may need to change the account type from user account to administrator account. It is possible that the administrative privileges will enable you enter C: disk drive on Windows 10. 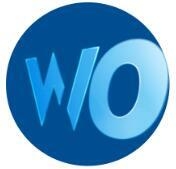 Now work hard to alter your user account to the administrative one. 2. In Control Panel, choose to View by Category and then select Change account type under User Accounts. 3. Then click the account you are logging in. 4. After that, in the following window, hit Change the account type. 5. 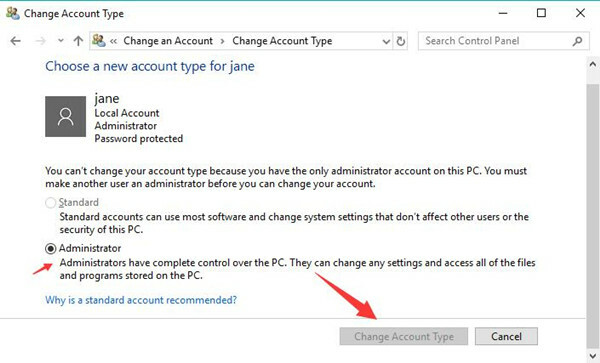 Then tick the box of Administrator and then choose to click Change the account type to save changes. 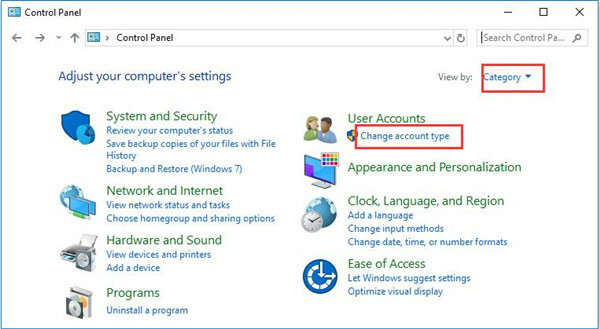 The minute you hit change account type, you are free to access C: drive on Windows 10. There will be no more the securities tab missing error and you must have read permissions to view the properties of this object. 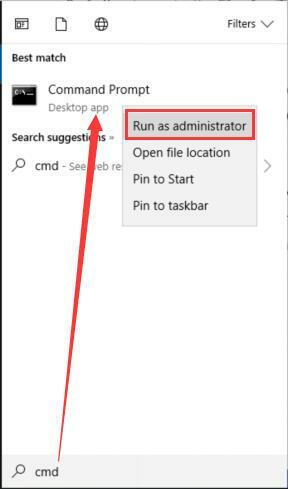 Another way you can take to deal with the issue that you do not have the permission to access the files, folders are to get full control of these files, folders or drives on Windows 10. With the full control of Windows 10, you are able to get into the C: drive as you wish. 1. Double click This PC to open File Explorer. 2. In File Explorer, locate local C: drive disk and then go to its Properties. 3. 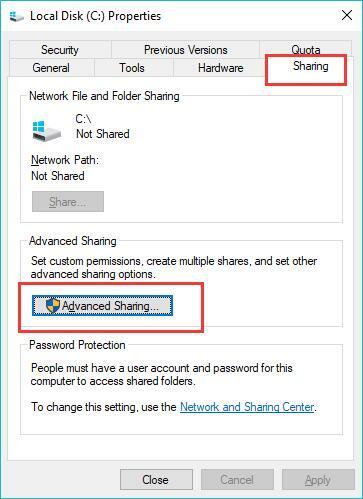 Then in Local Disk C: and under Sharing, click Advanced settings. 4. 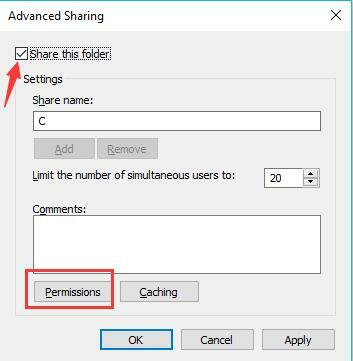 In Advanced Sharing, check the box of Share this folder and then hit Permissions. 5. 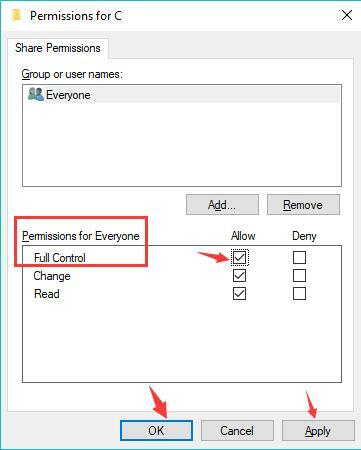 In Permissions for C, under Permission for Everyone, in Full Control, check the box of Allow. Then click Apply and OK to take effect. In this way, you will have already given full control for local disk C.
Similarly, in terms of the files, folders on Windows 10, you can also decide to enable full control for them. After that, you won’t receive the error that you must have read permissions to view the properties of this object. At last, you would better attempt to run System File Checker (SFC) to troubleshoot the system file errors on Windows 10. And on the other side, it is also accessible for you to take advantage of Deployment Imaging Servicing Management (DISM) to fix image issues. 2. In Command Prompt, enter sfc/scannow and then stroke Enter to run SFC. After the scanning finished, you would see the file problems are solved by the System File Checker. Now you are supposed to use DISM to solve image issues on Windows 10. It is extremely simple. In Command Prompt, copy and paste the following commands and perform them one by one by hitting Enter. It is said that the DISM is capable of removing the images errors on Windows 10. Under this circumstance, you will not be reminded to take ownership of files or folders. All in all, try your best to fix you must have read permissions to view the properties of this object or you do not have permissions to access Windows files, folder, and drives. These ways above are useful if you are willing to have a try.